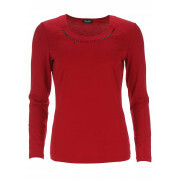 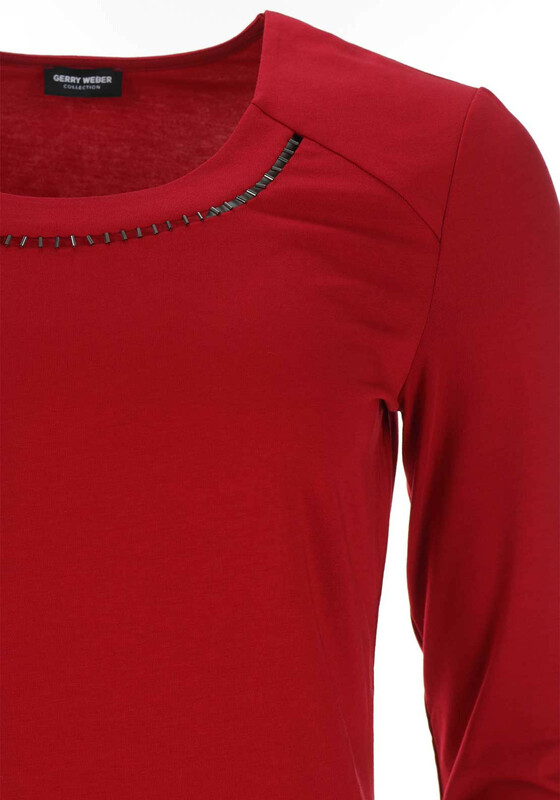 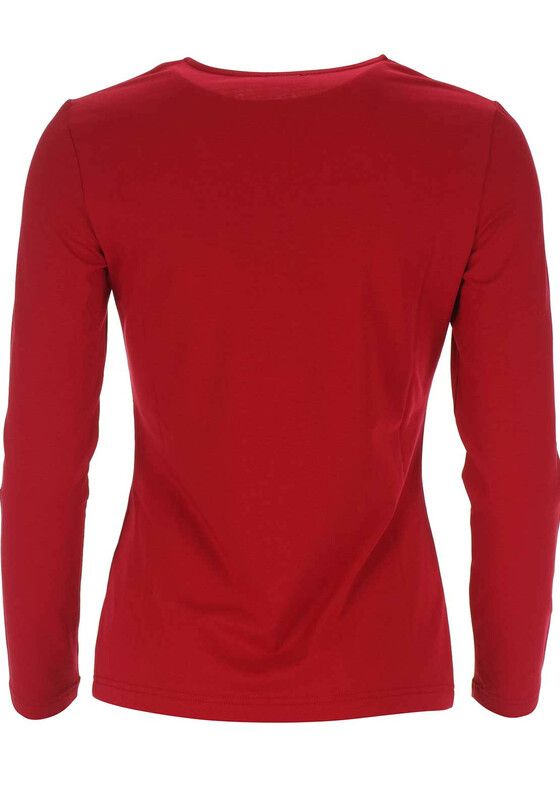 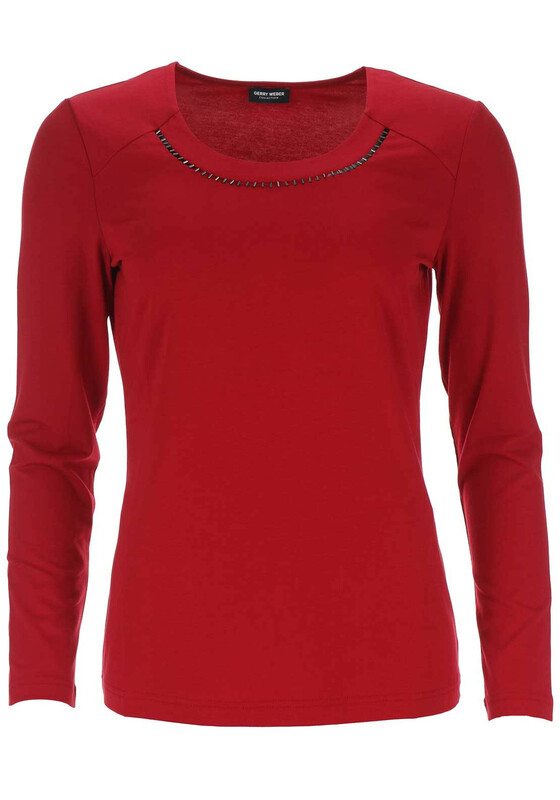 Presented in classic red, this long sleeve top from Gerry Weber could easily be worn with a variety of trousers or skirts to create countless work or off-duty looks. 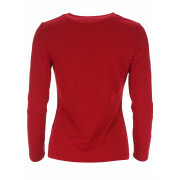 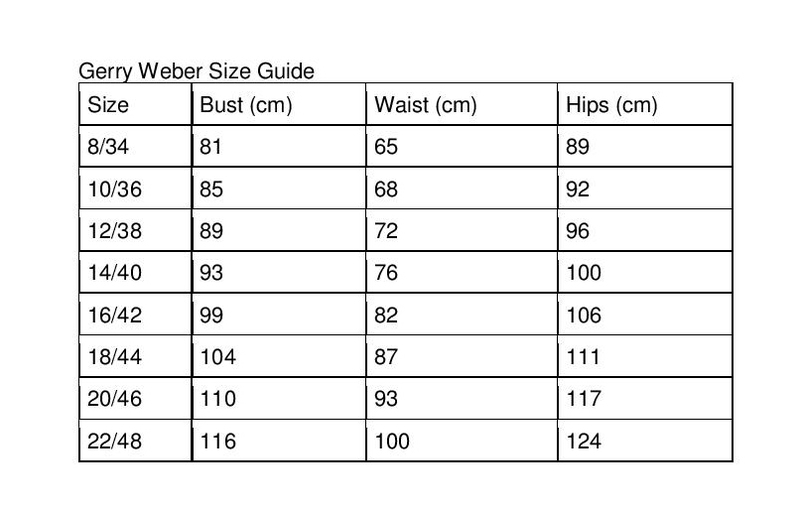 Designed with a straight shape and made from soft cotton blend jersey fabric. 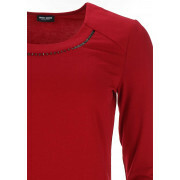 Featuring a sheer trim with bead embellishment at the round neckline.